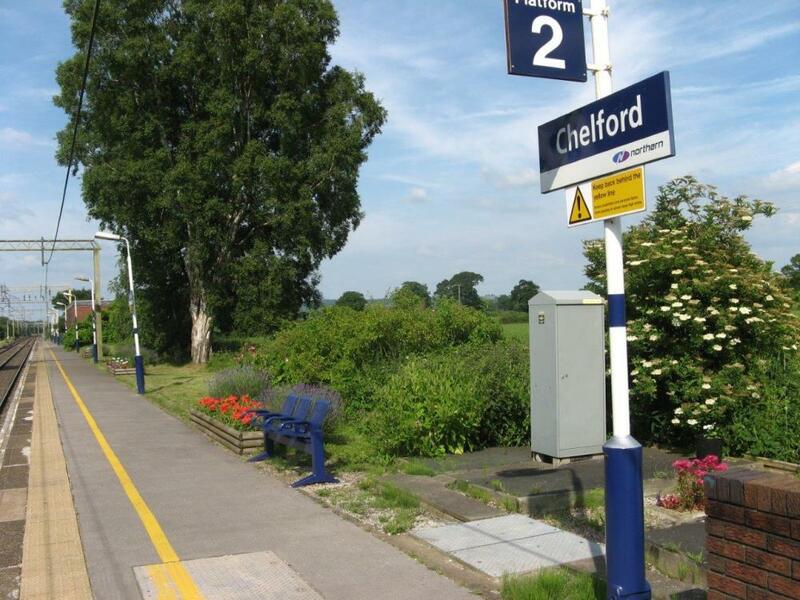 Our sister station in many ways, given that we both share a level of service markedly distinct from every other station on the Crewe to Manchester line and have exactly the same number of letters in our names, Chelford is just under five minutes on the train from Goostrey. The station is unmanned, but there are Live Running display screens on both platforms, covered waiting areas with seating and a HelpPoint. There is also step-free disabled access to and from the Station. We're sure you'll have a nice time. Following the very sad loss of the historic and well-known Chelford Market - which was set adjacent to the station - you'd think that there would be no reason to go here. Christmas Eve, 24 December 2019 - Services end earlier than normal. Christmas Day, 25 December 2019 - No services run. Boxing Day, 26 December 2019 - No services run. New Year's Eve, 31 December 2019 - Services end earlier than normal.